The fImblCLIMB is a cambium saver with steel thimble for tree care operations from TEUFELBERGER. It is the lightweight of the fImbl family. 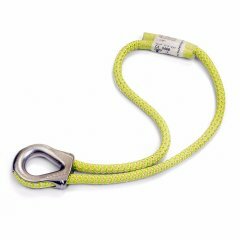 The fImblCLIMB from TEUFELBERGER consists of a polyester rope in a polyester cover. With its 311 g (1.25 m) and 426 g (2.25 m), it is the lightweight of the fImbl family. In spite of its low weight, our fImblCLIMB impresses with a breaking load of 30 kN. The more compact 6 mm steel thimbles facilitate retrieval from the ground and help ensure the product's customary long service life. 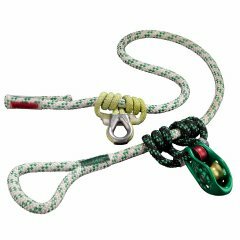 Unlike the fImblSAVER, the fImblCLIMB features the 7 mm Ocean Dyneema® Loop T as readjustable friction hitch. The fImblCLIMB is indispensable for all those who not only want to climb safely and efficiently, but want to save weight as well. Therefore, this cambium saver with steel thimble should not be missing from any harness. 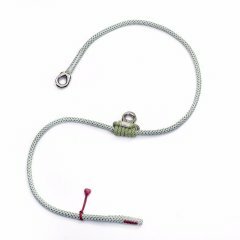 The Ocean Dyneema® Loop T is a useful implement for many situations and a replacement part for the CElanyard, the fImblCLIMB and the pulleySAVER. The DMM Retrieval Cone is used with cambium savers. 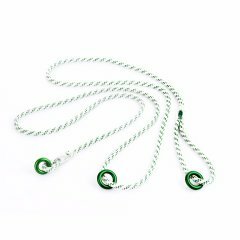 The pulleySAVER from TEUFELBERGER is a cambium saver with a pulley supplied by DMM. It is the ideal tool for tree care operations. 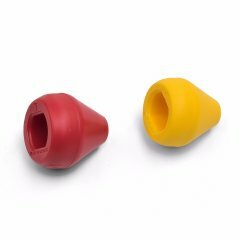 The fImblSAVER from TEUFELBERGER is a cambium saver provided with steel thimbles. It is the perfect tool for tree care operations in canopies. 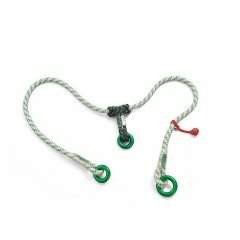 The multiANCHOR is a cambium saver with international certification, which is suited for multifunctional anchoring use. The multiSAVER from TEUFELBERGER is an often proven cambium saver of polyester, which impresses with its well-thought-out design.